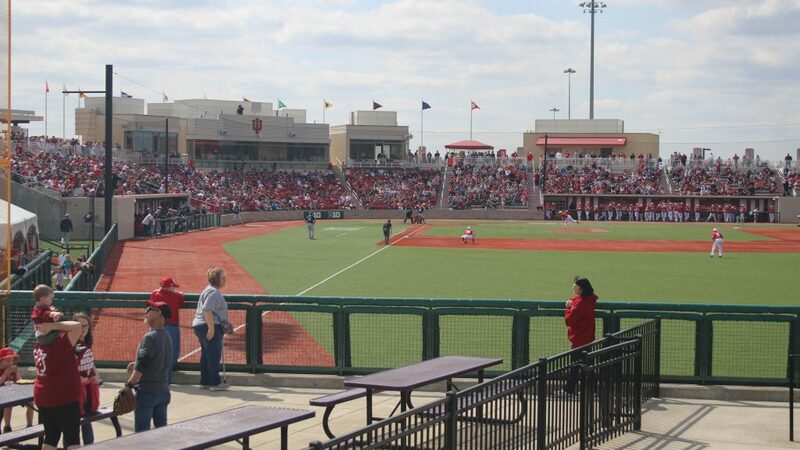 The Hoosiers took the series in the Saturday doubleheader winning the first game 5-3 and the second 3-2. 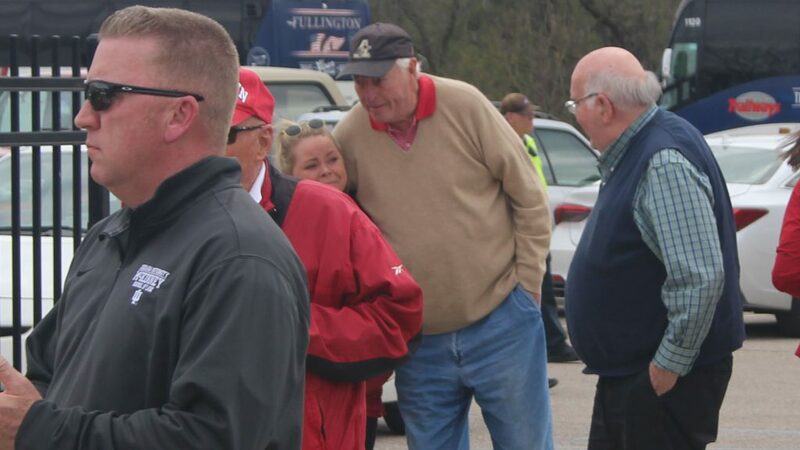 A shocking appearance from Indiana royalty Bob Knight might’ve stole the show at the start of the game, but a banged-up bullpen out-shined Knight by holding the lead in the late innings in both games. In game two of the series, it was Tommy Sommer’s two innings of scoreless relief and Matt Lloyd’s save in the ninth that allowed them to start the day off right. Sommer, who hadn’t pitched since March 3rd against Coastal Carolina, looked incredible giving up just one hit and striking out two while walking only one. He’s a big arm that the Hoosiers have been missing and his return shows promise for the future. Sommer replaced Tanner Gordon who didn’t have his best stuff, and despite allowing three runs in the fifth, Gordon really didn’t look bad at all. He gave up just six hits which were all singles. 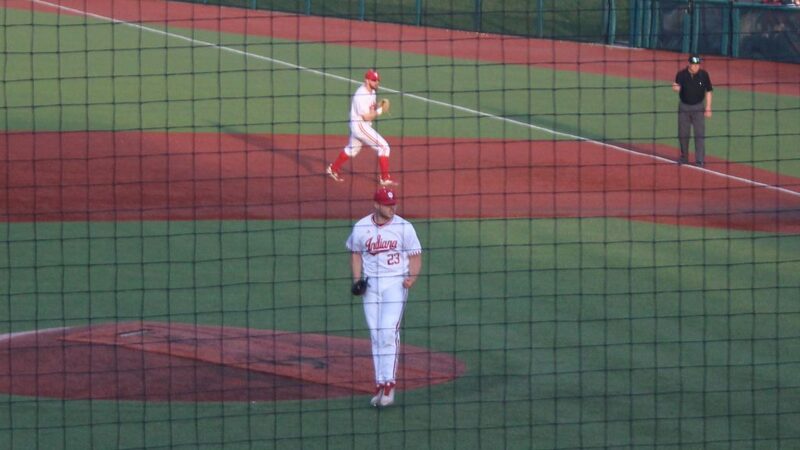 He was able to pitch for contact after he got the run support that Pauly Milto lacked in the opening game of the series and battled through it to give Indiana six solid innings of work. 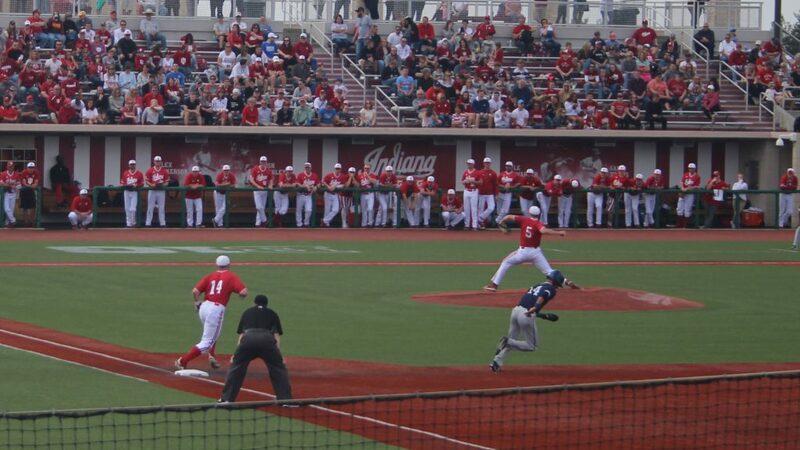 That run support came when Matt Lloyd crushed a three-run home run in the third to put Indiana ahead 3-0. Penn State’s lone counter was a rocky fifth for Gordon where the Nittany Lions managed to squeak across three runs to tie it up. It was the eighth inning where Indiana ditched the identity of being a ‘home run or bust’ team. Elijah Dunham opened it up with a double, and then the Big Ten’s home run leader Cole Barr scored Dunham on a double of his own. Freshman phenom Grant Richardson got in on the action with a single to move Barr to third and then birthday boy Scotty Bradley plated Barr with a double of his own making it 5-3 in favor of Indiana. Matt Lloyd would come down from his home run hitting high to close it out in the ninth to secure the win. In the final game of the series it was a come from behind effort that led to Indiana’s 3-2 win. Andrew Saalfrank’s curveball was basically unhittable, but the Nittany Lions were sitting fastball in the first. They totaled three of their six hits in the opening inning and scored one on a passed ball. Saalfrank would find a bit of a groove before Gavin Homer drilled a solo shot to extend the lead to 2-0. Take away that one swing and the first and Saalfrank had himself a day. He finished with only two walks and 13 strikeouts. One name yet to be mentioned in this series was Matt Gorski. 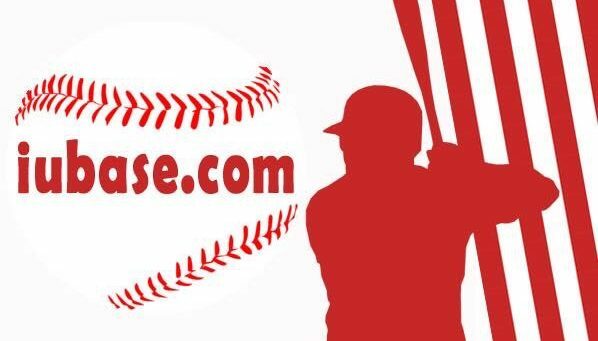 Gorski was hitless in the first two games and waited until the fifth inning of the final game to get involved. He opened the scoring with a double to score to score Wyatt Cross before Renaissance man Matt Lloyd smoked a two-RBI single to give Indiana the 3-2 lead. After that, it was the bullpen that stole the show. 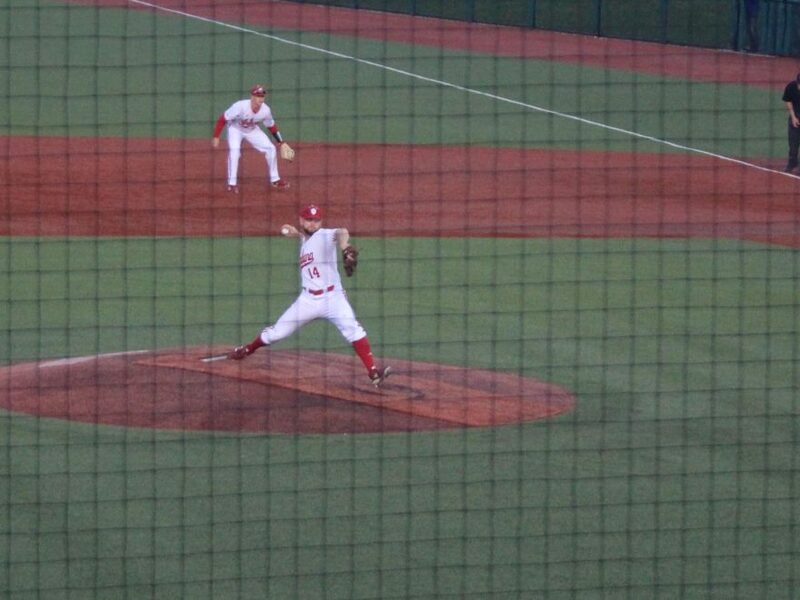 Grant Sloan came on in the eighth and pitched a 1-2-3 inning with his overwhelming fastball. Next up was none other than Matt Lloyd. Lloyd came on in the ninth for his second appearance of the day and it didn’t go exactly according to plan. A pulled foot from Cade Bunnell at first put the tying run on base for Penn State with nobody out. Another passed ball would move him to second, and that’s when Lloyd shut it down. He struck out the next three hitters and gave Indiana the series win. A brilliant day from Lloyd and an excellent effort by the bullpen allowed the Hoosiers to improve to 19-12 on the year and 7-2 in conference play.